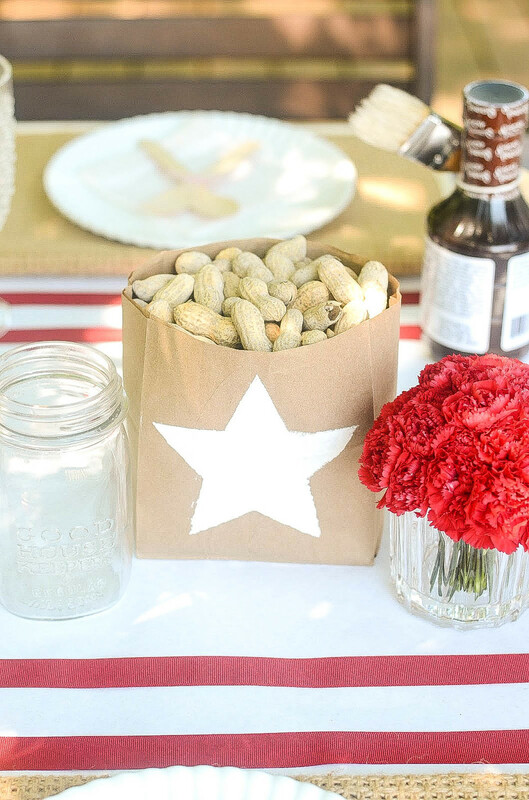 Brown paper lunch bags and white plaint is all that is needed to make these fun practical centerpieces! Cut off the top third of each lunch bag. Use any white craft paint. 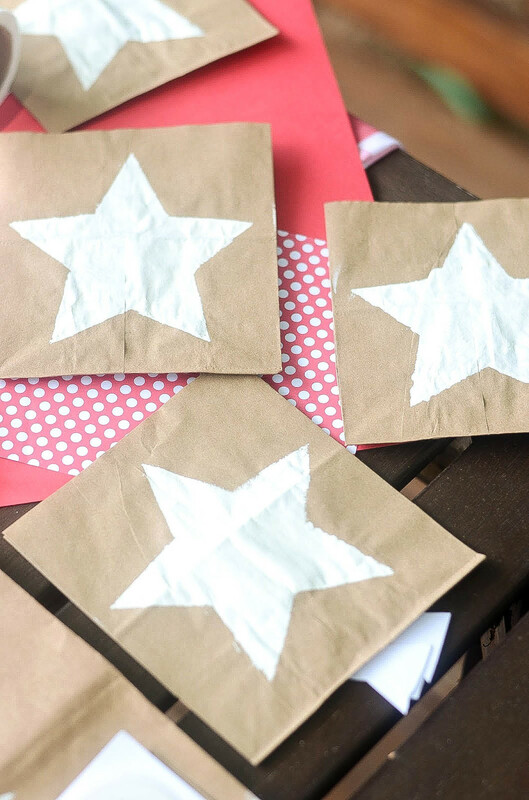 Trace, then cut out a star to make a stencil. 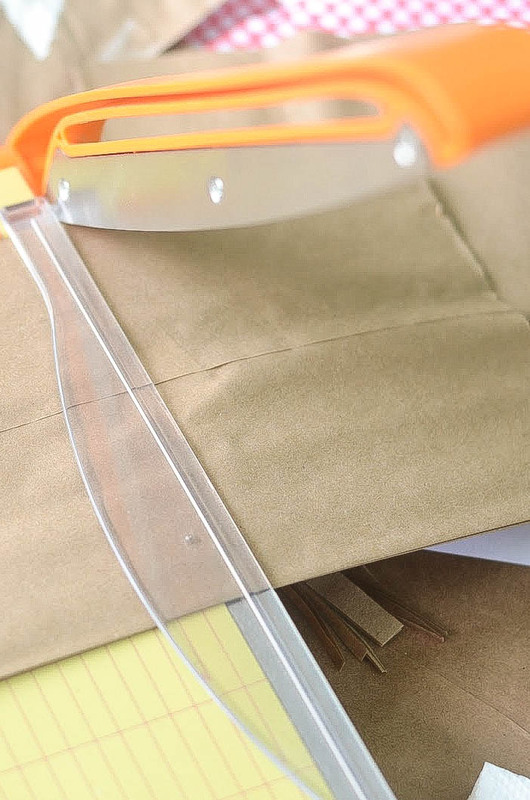 Using a sponge, blot paint onto the bag using your stencil. Once dry fill your centerpieces with an edible snack. Un-shelled peanuts are always a crowd-pleaser. Helpful Tip: Double up each bag to give more stability!